I am an Assistant Professor in the Network System Lab group of the Communication Systems department at the KTH Royal Institute of Technology. My research interests lie in computer networking and, more specifically, in aspects of Internet protocols and architectures ranging from security and privacy to network design and optimization, including Software Defined Networking (SDN) approaches to these challenges, next-generation Internet eXchange Points (IXPs), and beyond. Prior to join KTH, I was a postdoctoral researcher in the INL networking group at the Université catholique de Louvain, supervised by Marco Canini, and a postdoctoral researcher at the Hebrew University of Jerusalem supervised by Michael Schapira. In 2013, I was a visiting scholar in the Berkeley NetSys Lab at the University of Berkeley supervised by Scott Shenker. I received my Ph.D. from Roma Tre University in 2014, advised by Prof. Giuseppe Di Battista. I was involved in the ENDEAVOUR (H2020 EU funded) project, intended to bring Software-Defined Networking (SDN) functionality to inter-domain routing on the Internet. 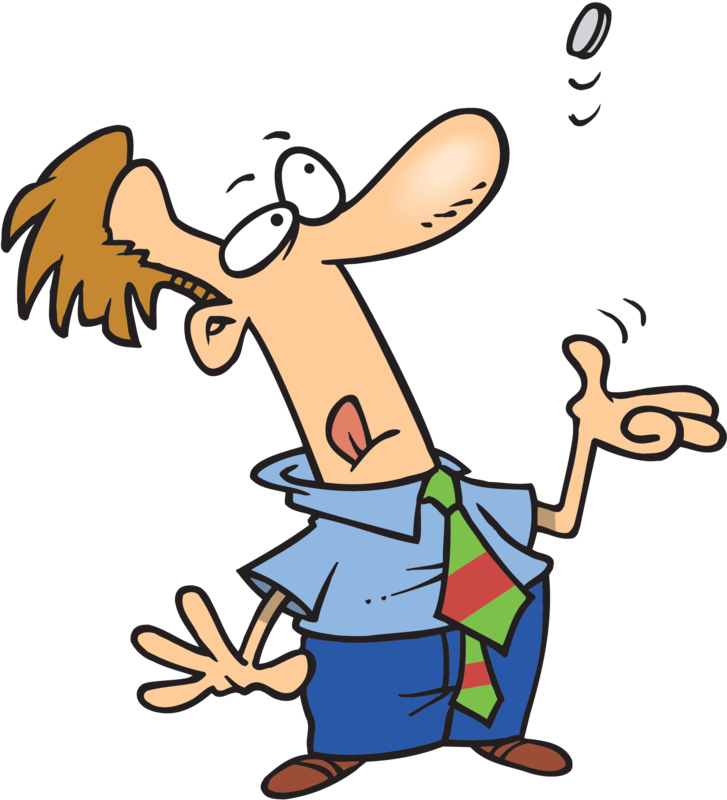 Email contact at UCLouvain expired! My email at uclouvain has expired in April, 2018. Please use my old gmail address or the new kth one to contact me. Dagstuhl workshop! I have attended a fantastic workshop on "Programmable dataplane networks" in Dagstuhl (Germany) perfectly organized by Gianni Antichi, Theophilus Benson, Nate Foster, Fernando Ramos, and Justine Sherry! PC invitation! I will serve as a TPC member for INFOCOM 2020! Please consider submitting a paper on your latest networking work. PC invitation! I will serve as a TPC member for ICNP 2019! Please consider submitting a paper on your latest work on Internet network protocols. Distinguished TPC member at INFOCOM! "This distinction is awarded based upon ratings by peer TPC members, fairness in review scores, and promptness in meeting various deadlines during the review process." Awarded to 100 out of 464 TPC reviewers. Teaching starts again! I am very excited to give for the first time the Advanced Internetworking II course at KTH. We are going to explore the Link Layer (Layer 2) and try to understand how it ended up incorporating many of the Network Layer (Layer 3) functionalities! PC invitation! I will serve as a TPC member for HPSR 2019! We are looking forward to seeing your latest work on switching and routing! PC invitation! I will serve as a TPC member for the Asia-Pacific Workshop on Networking (APNet) 2019! We are looking forward to seeing your newest work on computer networking and systems! Paper accepted! Dynam-IX has been accepted to CoNEXT! Topic Preview at SIGCOMM! I gave the topic preview for the Routing session at SIGCOMM. You can find a video of my and other topic previews here. Presentation at NEAT! I presented our preliminary work on Fast ReRoute and programmable dataplanes at the SIGCOMM NEAT workshop. A video of the calk can be found here. Student Research Competition final at SIGCOMM! Together with Professor Zhi-Li Zhang (University of Minnesota), we organized the ACM Student Research Competition in parallel with the SIGCOMM conference. A video of the SRC award session can be found here. PC invitation! I will serve as a TPC member for CCGrid 2019! Please consider submitting a paper on your latest cluster, cloud, and grid computing work. Paper accepted! "Prelude: Ensuring Inter-Domain Loop-Freedom in SDN-Enabled Networks" has been accepted to the The Second Asia-Pacific Workshop on Networking (APNet'18)! Two posters accepted! Our posters "Dynam-IX: a Dynamic Interconnection eXchange" and "Picking a Partner: A Fair Blockchain Based Scoring Protocol for Autonomous Systems" have been accepted to the Applied Networking Research Workshop (ANRW 2018)! Paper accepted! "Supporting Emerging Applications With Low-Latency Failover in P4" has been accepted to the ACM SIGCOMM 2018 Workshop on Networking for Emerging Applications and Technologies (NEAT 2018)! Talk at RIPE'76! I presented our Dynam-IX project at the 76th RIPE meeting in Marseille! Many thanks to the RIPE RACI initiative for inviting us to present our most recent work: video. PC invitation! I will serve as a TPC member for the ACM CoNEXT Student Workshop 2018! Please consider submitting a paper on your latest networking work. Paper accepted! "Oblivious Routing in IP Networks" has been accepted to Transactions on Networking! PC invitation! I will serve as a TPC member for INFOCOM 2019! Please consider submitting a paper on your latest networking work. Paper accepted! "Moving Bits with a Fleet of Shared Virtual Routers" has been accepted to IFIP Networking 2018! PC invitation! I will serve as a TPC member for ICNP 2018! Please consider submitting a paper on your latest work on Internet network protocols. Paper accepted! 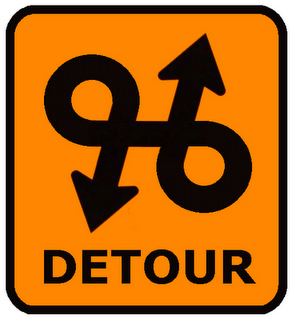 "TI-MFA: Keep Calm and Reroute Segments Fast" has been accepted to GI 2018! PC invitation! I will serve as a TPC member for LANMAN 2018! We are looking forward to seeing your latest work on networking! PC invitation! I will serve as a TPC member for the Poster and Demo session at SOSR 2018! We are looking forward to seeing your current work on networking! Paper presentation! I presented SIXPACK at CoNEXT'17! PC invitation! I will serve as a TPC member for HPSR 2018! We are looking forward to seeing your latest work on switching and routing! Co-chair invitation! I will co-chair the SIGCOMM Student Research Competition 2018! More information to come! PC invitation! I will serve as a TPC member for the APNeT 2018! We are looking forward to seeing your newest work on computer networking and systems! PC invitation! I will serve as a TPC member for the EuroSys Doctoral Workshop 2018! Please consider submitting your current work and present it at a prestigious venue! PC invitation! I will serve as a TPC member for SOSR 2018! Please consider submitting a paper on your latest work on Software Defined Networking! Paper accepted! SIXPACK has been accepted to CONEXT 2017! Paper accepted! "ENDEAVOUR: A Scalable SDN Architecture for Real-World IXPs" has been accepted to JSAC 2017! PC invitation! I will serve as a TPC member for CCGrid 2018! Please consider submitting a paper on your latest cluster, cloud, and grid computing work. Poster accepted! "Privacy-Preserving Detection of Inter-Domain SDN Rules Overlaps" has been accepted to SIGCOMM 2017! PC invitation! I will serve as a TPC member for INFOCOM 2018! Please consider submitting a paper on your latest networking work. Demo accepted! "SDN-enabled Traffic Engineering and Advanced Blackholing at IXPs" has been accepted to SOSR 2017! PC invitation! I will serve as a TPC member for ICNP 2017! Please consider submitting a paper on your latest work on Internet network protocols. Paper accepted! "Decentralized Consistent Updates in SDN" has been accepted to SOSR 2017! Paper presentation! I presented COYOTE at CoNEXT 2016! Slides are available HERE . Paper accepted! "PrIXP: Preserving the Privacy of Routing Policies at Internet eXchange Points" has been accepted to IM 2017! PC invitation! I will serve as a TPC member for SWFAN 2017 (Infocom workshop)! Please consider submitting a paper on your latest Software-Driven Flexible and Agile Networking work. PC invitation! I will serve as a TPC member for ITC 2017! Please consider submitting a paper for Area 2: Future Internet Architectures (incl. SDN, NFV, HPC, ICN, CCN). Paper accepted! On the Resiliency of Static Forwarding Tables has been accepted to Transaction on Networking! Paper accepted! COYOTE has been accepted to CONEXT 2016! Participate in our survey! If you are a network operator, please help us to know more about privacy concerns in the Internet: Link to our survey! Link to the SIXPACK project. Paper accepted! Traffic Engineering with ECMP has been accepted to Transaction on Networking! Paper presentation! I presented SIXPACK and ez-Segway at ANRW 2016! Paper accepted! SIXPACK has been accepted to the Applied Networking Research Workshop in Berlin! Paper accepted! ez-Segway has been accepted to the Applied Networking Research Workshop in Berlin! Paper accepted! On the Resiliency of Randomized Routing Against Multiple Edge Failures has been accepted to ICALP! Paper presentation! I presented "The Quest for Static Resilient Routing Tables" at INFOCOM 2016! The objective of ENDEAVOUR is to address current limitations of the Internet interconnection model, as well as to open the opportunity for novel services, creating the possibility for new economic models around the created ecosystems. Internet eXchange Points (IXPs), where a quickly increasing number of networks exchange routing information, play an ever growing role in Internet inter-connection. 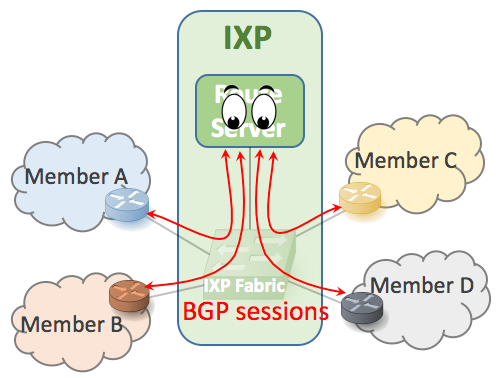 To facilitate the exchange of routes among their members, IXPs provide Route Server (RS) services to dispatch the routes according to each member's peering policies. Nowadays, to make use of RSes, these policies must be disclosed to the IXP. This poses fundamental questions regarding the privacy guarantees of route-computation on confidential business information. Indeed, as evidenced from interaction with IXP administrators, and survey of network operators, this state of affairs raises privacy concerns among network administrators and even deters some networks from subscribing to RS services. We design an RS service that leverages Secure Multi-Party Computation (SMPC) techniques to keep peering policies confidential, while maintaining, and even extending, the functionalities of today's RSes. We assess the effectiveness and scalability of our system by evaluating a prototype implementation using traces of data from one of the largest IXPs in the world. Our evaluation results indicate that our RS system can scale to support privacy-preserving route-computation even at IXPs with many hundreds of member networks. To optimize the flow of traffic in IP networks, operators do traffic engineering (TE), i.e., tune routing-protocol parameters in response to traffic demands. TE in IP networks typically involves configuring static link weights and splitting traffic between the resulting shortest-paths via the Equal-Cost-MultiPath (ECMP) mechanism. Unfortunately, ECMP is a notoriously cumbersome and indirect means for optimizing traffic flow, often leading to poor network performance. Also, obtaining accurate knowledge of traffic demands as the input to TE is elusive, and traffic conditions can be highly variable, further complicating TE. We leverage recently proposed schemes for increasing ECMP's expressiveness via carefully disseminated bogus information ("lies") to design COYOTE, a readily deployable TE scheme for robust and efficient network utilization. COYOTE leverages new algorithmic ideas to configure (static) traffic splitting ratios that are optimized with respect to all (even adversarially chosen) traffic scenarios within the operator's "uncertainty bounds". Our experimental analyses show that COYOTE significantly outperforms today's prevalent TE schemes in a manner that is robust to traffic uncertainty and variation. We discuss experiments with a prototype implementation of COYOTE. 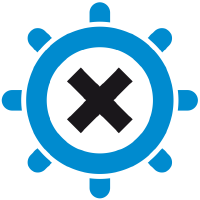 Fast Reroute (FRR) and other forms of immediate failover have long been used to recover from certain classes of failures without invoking the network control plane. While the set of such techniques is growing, the level of resiliency to failures that this approach can provide is not adequately understood. In this paper, we embarked upon a systematic algorithmic study of the resiliency of forwarding tables in a variety of models (i.e., deterministic/probabilistic routing, with packet-header-rewriting, with packet-duplication). Our results show that the resiliency of a routing scheme depends on the ``connectivity'' $k$ of a network, i.e., the minimum number of link deletions that partition a network. We complement our theoretical result with extensive simulations. We show that resiliency to $4$ simultaneous link failures, with limited path stretch, can be achieved without any packet modification/duplication or randomization. Furthermore, our routing schemes provide resiliency against $k-1$ failures, with limited path stretch, by storing $\log(k)$ bits in the packet header, with limited packet duplication, or with randomized forwarding technique. To efficiently exploit network resources operators do traffic engineering (TE), i.e., adapt the routing of traffic to the prevailing demands. TE in large IP networks typically relies on configuring static link weights and splitting traffic between the resulting shortest-paths via the Equal-Cost-MultiPath (ECMP) mechanism. Yet, despite its vast popularity, crucial operational aspects of TE via ECMP are still little-understood from an algorithmic viewpoint. We embark upon a systematic algorithmic study of TE with ECMP. We first consider the standard “splittable-flow” model of TE with ECMP, put forth in . 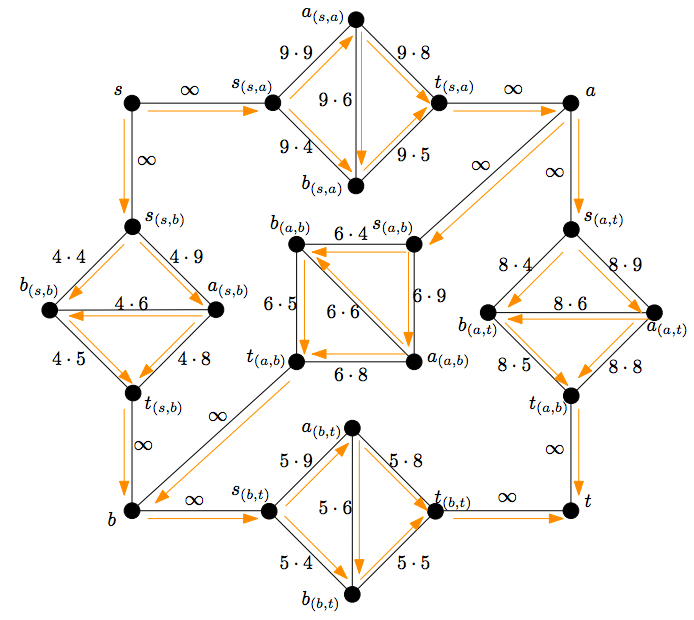 We settle a long-standing open question by proving that, in general, even approximating the optimal link-weight configuration for ECMP within any constant ratio is an intractable feat. We also initiate the analytical study of TE with ECMP on specific network topologies and, in particular, datacenter networks. We prove that while TE with ECMP remains suboptimal and computationallyhard for hypercube networks, ECMP can, in contrast, provably achieve optimal traffic flow for the important category of folded Clos networks. We next investigate the approximability of TE with ECMP in the more realistic “unsplittable-flow” model and present upper and lower bounds for scheduling “elephant” flows on top of ECMP (as in, e.g., Hedera ). Our results complement and shed new light on past experimental and empirical studies of the performance of TE with ECMP. Marco Chiesa, Gabriele Lospoto, Massimo Rimondini, Giuseppe Di Battista. Intra-Domain Routing with Pathlets. Computer Communications. 46:76-86. 2014. Marco Chiesa, Gabriele Lospoto, Massimo Rimondini, Giuseppe Di Battista. Intra-Domain Pathlet Routing. Technical Report arXiv:1302.5414, Cornell University, 2013. White to move. 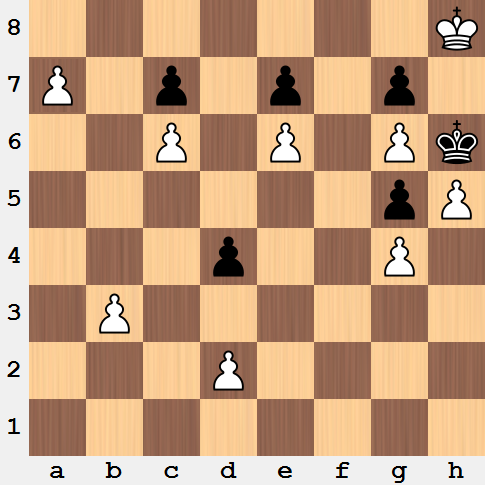 What is the best continuation to this brilliant chess puzzle? You are forced to enter into a dark room. Inside the room, there is a table with $100$ non-overlapping coins placed on its surface. Each coin is either colored white or black. Once you enter the room, you cannot distinguish whether a coin has its upper side colored in black or white. You will be saved only if you will be able to partition the coins into two groups, each group with the same number of coins with the white side oriented upwards. You are allowed to flip the coins as many time as you want. Luckily, before entering the room, you overheard a vital information: 70 coins have their black side oriented upwards while the 30 remaining coins have their white side oriented upwards. Will you be able to survive? Partition the coins into two random sets of $70$ and $30$ coins and flip all the coins in the smaller partition. To prove that the mechanism is correct, observe that if $x\le30$ number of coins in the larger partition have their white side oriented upwards, then $30-x$ coins in the smaller partition have their white side oriented upwards. By flipping the coins in the smaller partition, only $x$ coins will have the white side oriented upwards. There are $n$ prisoners serving a long-time sentence. One day, the director of the prison communicates them that the day after they will be disposed in a row in such a way that each prisoner will only be able to see the prisoners in front of him. Each prisoner will be wearing a hat, without knowing it color, which can be either black or white. As such, each prisoner does not know the color of its hat but he can see the color of the hats of the prisoners in front of him. Starting from the latter prisoner (the one that sees all the other prisoners), each prisoner will be asked to loudly guess the color of its hat by saying either "white" or black". Everyone can hear the answers. The prisoner will be killed if it fails to guess the color of its hat and it will be saved otherwise. The prisoners decides to agree on the strategy that guarantees the maximum number of survivors. How many people will survive for certain the day after? The first prisoner counts the number of white hats and guess a value $F=0$ if that number is even, $F=1$ otherwise. Each prisoner counts the number $W$ of white hats in front of him and keeps track of the number of times $Z$ a prisoner guessed $0$, excluding the first prisoner. He then guesses $0$ if and only if $W-Z-F$ is even. This strategy guarantees that lal the prisoners, except the first one, are guaranteed to survive.